On the first Wednesday of each month (no class in July) Dr. Riegel will lead a meditation class, free and open to the public - drops ins welcome. We will begin each session with a brief Q & A and end each session by processing that evening's sitting. The recommended book for this class is Alan Wallace's "The Attention Revolution," which you can find on Amazon. Out of respect for all participants we ask that you arrive in time to be ready to begin class promptly at 7:30pm. Once meditation begins the doors will be closed and no one may enter the space. If you cannot stay until the end of class (9pm) please choose not to attend class that particular evening. For more information, email Dr. Riegel at: alexgpuc@gmail.com. In this class we do Philosophy on par with an introductory college level class. Currently we are reading Dr. Riegel's Doctoral thesis, "Deicide and the Reemergence of Meaning." This will be our ongoing study for the foreseeable future. If you would like to join us in this study, contact Dr. Riegel (alexgpuc@gmail.com) to receive a copy of his thesis. The Philosopher's Club meets in the church library at 7pm the third Monday of each month (no meetings in January and July). The Philosopher's Club format is dependent on group discussion so please bring your own notes, reflections, and questions about the texts we read as grist for our mill. * Note - Reading Required: Out of respect for the other participants, please make sure that you have read the material before attending class. If you are not yet on The Philosopher's Club email distribution list but would like to be, contact Dr. Riegel at: alexgpuc@gmail.com. The Unitarian Universalist History class meets the first Sunday of the month , at noon (following coffee hour) in the Church Library. 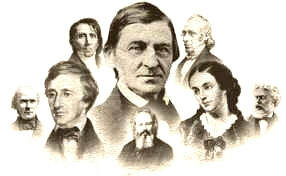 We are studying Margaret Fuller and our reading selection for this class is "The Spirit Leads," an anthology of Fuller's more significant writings. The UU History class format is dependent on group discussion, so please bring your own notes, reflections, and questions about the texts we read as grist for our mill. If you are not yet on the UU History class distribution list but would like to be, contact Dr. Riegel at: alexgpuc@gmail.com. Women's Book Discussion - The Women’s Book Discussion group meets on the third Wednesday of the month from October to April at 5:30pm in the GPUC Library. Book lists are available on the table in the foyer or by email from the church office (gpuc@gpuc.us). Refreshments are provided; cost is divided among the attendees. We gather in May for a pot-luck dinner and to choose books for the fall. We welcome new participants! The Writing Workshop meets the second and fourth Mondays of the month from 6:30-8:00pm in the Church Library. Patricia Gillis facilitates various techniques of creative writing with participants reading their works. Fiction, creative non-fiction, journaling and memoir writing are examined. ​Bring your writings for discussion, receive helpful hints, or just listen to other aspiring writers.